The iPhone app store is one of the best places to get apps for your iPhone. The apps generally sell at the app store for $1 or $2 an app. This is so cheap that you keep on purchasing apps from the store and less do you realise that you have already spent a lot. Here is when the App Store Expense Monitor comes to your rescue. 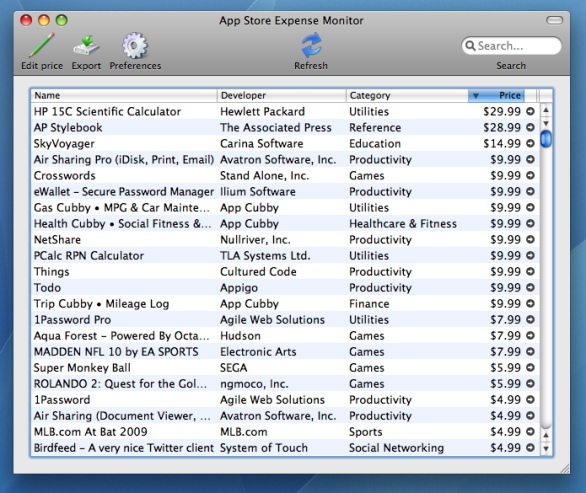 App Store Expense Monitor (ASEM) resides in your menu bar and shows you how much you have spent on purchasing iPhone apps. ASEM works in a very peculiar fashion according to macworld. It doesn't access your iTunes store account directly but fetches current prices of apps available in the Mobile Applications folder of your computer. Whatever be the case, this application is a must have if you really want to put a check on your app store spending.